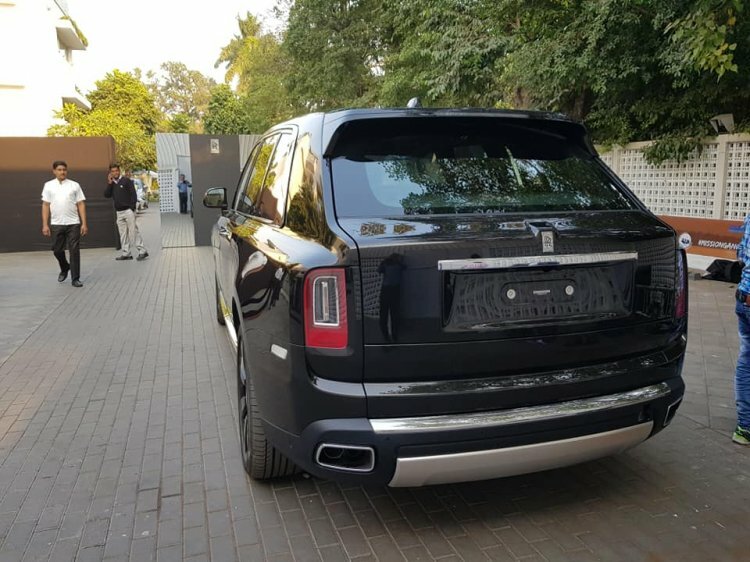 The Rolls-Royce Cullinan has been launched in India at an eye-watering price of INR 6.95 crore. Facebook user Vikers Car has posted its images snapped at the Delhi dealership. Yesterday, Instagram user Arunabh Dey had shared with us a batch of photos from what seems to be a select preview of the exotic set of wheels. Named after the largest-ever flawless diamond, the Rolls-Royce Cullinan is the brand's first-ever SUV. Its only rival is the Bentley Bentayga. 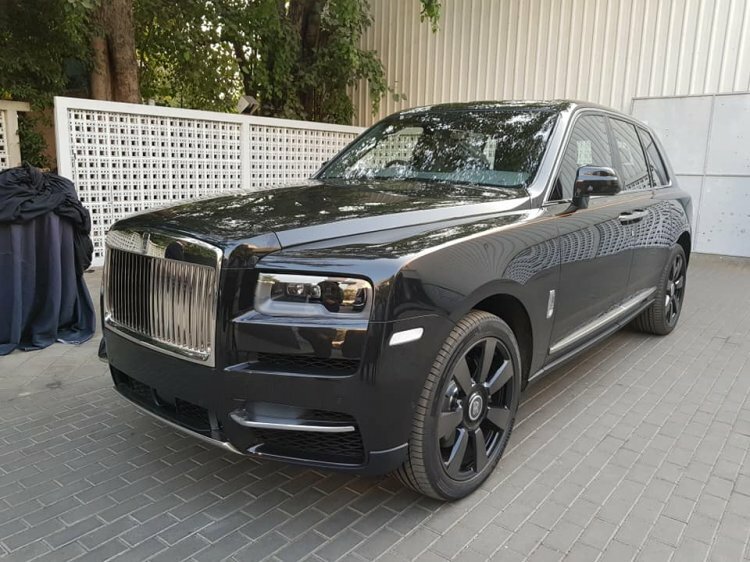 The Rolls-Royce Cullinan has a massive road presence, the SUV measures 5,341 mm in length, 2,164 mm in width, and 1,835 mm in height. It has a wheelbase of 3,295 mm. The front fascia is highly reminiscent of the Phantom, with the most notable styling elements including the signature pantheon grille and 'eyebrow'-like daytime running lights. The Cullinan is the first Rolls-Royce ever to have an opening tailgate, called 'The Clasp', which opens and closes in its two sections automatically at the touch of the key fob button. On the inside, the Rolls-Royce Cullinan offers two individual rear seats that are separated by a fixed centre console carrying a drinks cabinet with Rolls-Royce whisky glasses and decanter, champagne flutes and refrigerator. The seats can be moved in many planes for the best possible setting. Another highlight of the cabin is the set of two electrically-operated 'picnic chairs' that are mounted inside the boot and can be deployed on opening the boot lid. The customers can even opt for a 'recreation module’, which is a custom-built drawer and shelving system that can be used to house various slots that are required to carry equipment for pursuing a hobby. Named after the Cullinan diamond, which is the largest-ever flawless diamond, the first-ever SUV in its company's product portfolio is built on an all-new aluminium spaceframe architecture called ‘The Architecture of Luxury’. A neat party trick offered by the Rolls Royce Cullinan is its 'Viewing Suite' in the trunk. The platform is shared with the latest Rolls-Royce Phantom and is approximately 30% more rigid than the Mk7 Phantom’s spaceframe architecture. Powering the Cullinan is a 6.75-litre twin-turbo V12 petrol engine that outputs 563 bhp and 850 Nm. It comes mated to a satellite-aided 8-speed automatic transmission that pre-selects gears as per the vehicle’s geographic location.